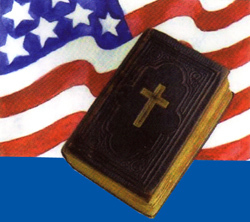 Christian Citizenship Ministries – The Reverend Steven Louis Craft " The Voice of Spiritual Transformation "
Christian Citizenship Ministries gratefully acknowledges the blessing of our Lord and Savior Jesus Christ as Creator, Preserver and Ruler of the Universe and of these United States. We hereby appeal to Him for mercy, aid, comfort, guidance and the protection of His Providence as we work to restore and preserve these United States. This great nation was founded, not by religionists, but by Christians; not on religions but on the Gospel of Jesus Christ. For this very reason peoples of other faiths have been and are afforded asylum, prosperity, and freedom of worship here.The mission of Christian Citizenship Ministries is to restore American jurisprudence to its Biblical foundations. Therefore, Christian Citizenship Ministries calls on all those who love liberty and value their inherent rights to join with us in the pursuit of these goals and in the restoration of these founding principles. That history makes clear that left unchecked, it is the nature of government to usurp the liberty of its citizens and eventually become a major violator of the people’s rights.